The Scotland U21 Women, including the Ladies 1st team player Drew Berry are hosting a coaching clinic for their upcoming trips. 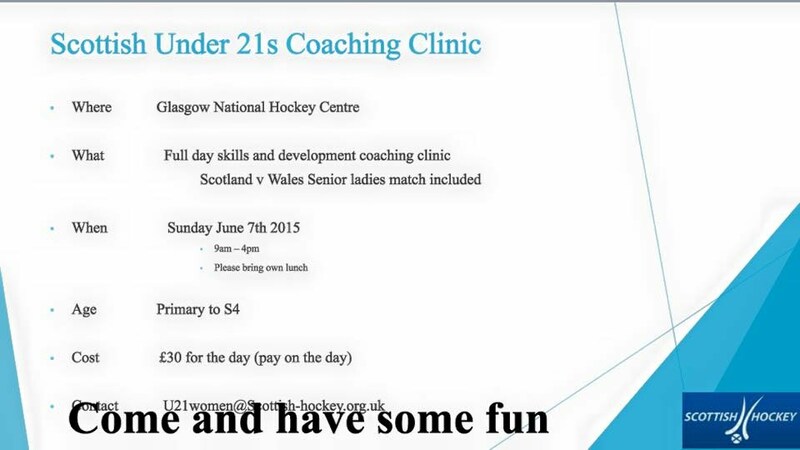 This will take place at Glasgow Green on the 7th of June from 9am-4pm and is open to boys and girls from 5-16. Get along and get some coaching and support Drew and the girls in preparing for their trip.